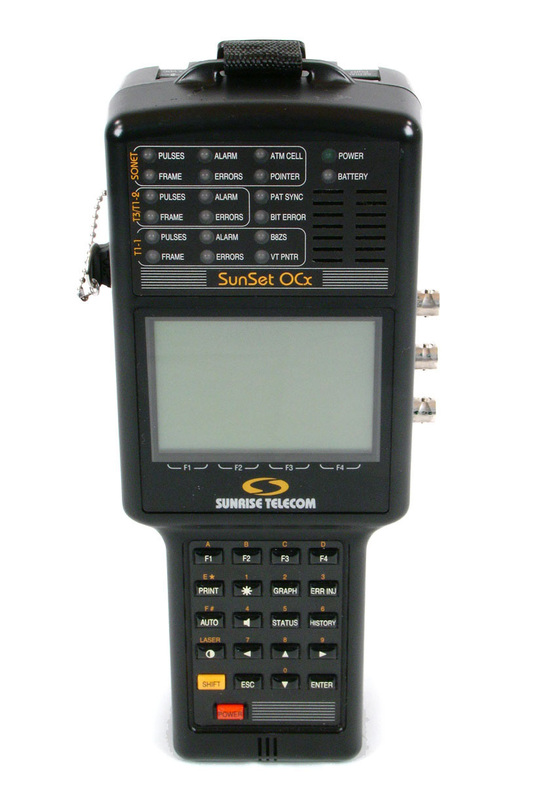 The Sunrise SunSet OCX, Handheld Test Set, is the only true handheld fiber optic test set with fiber and electrical interfaces, testing the access network from 622 Mb/s down to 1.544 Mb/s and below. The Sunrise SunSet OCX, Handheld Test Set, supports both singlemode and multimode fiber using 1310 nm or 1550 nm (single or dual transmitters). The Sunrise SunSet OCX, Handheld Test Set, has the broadest service verification and protocol analysis capability in North America, surpassing protocol analyzers many times its size and cost. 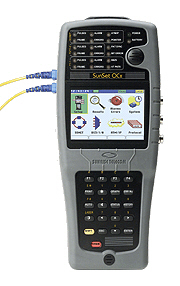 The Sunrise SunSet OCX Handheld Test Set is the only test set a technician needs to install, monitor, and troubleshoot today's broadband services.